Episode Theme: Having a heart of grace. 1. Galatians 1:15 says that God chose you, and he has special plans for you. What gifts and talents has God given you that you’ll use to serve him? 2. God had a special plan for Ruth. At first, things didn’t look good for her. Her husband died, and Naomi, her mother-in-law, felt angry and sad. In fact, Naomi wanted people to call her Mara, which means “bitter.” Naomi didn’t want Ruth to stay with her and have a difficult life.. But Ruth saw that Naomi needed her, and so she said, “Don’t urge me to leave you or to turn back from you. Where you go I will go, and where you stay I will stay. Your people will be my people and your God my God” (Ruth 1:16). Through Ruth’s service and words, she showed Naomi that God still loved her. Think about how your words and actions show God’s love as you listen to this episode. In this episode, there are two friends. One friend is a Christian, while the other friend is not. In the story, Lucille explores how to help her friend Chamy. Through actions of prayer and demonstrating God’s love, Lucille learns how she can receive God’s grace and how she can share God’s love. 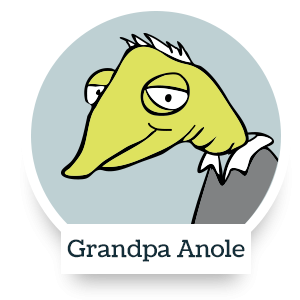 Grandpa Anole says, “We don’t have to be good enough for God’s love. God’s love is already there.” You don’t do anything to receive God’s love, for you are one of God’s children. Ephesians 2:8-9 says that God saved you when Jesus came and took your place on the cross. Remember that no one did anything to earn it; it was an amazing gift. Want to dig deeper and learn more about God’s grace? Check out Isaiah 1:18, Titus 2:11 and John 3:16. With what kind of balloon was Chamy experimenting? For what miracle is Chamy looking? 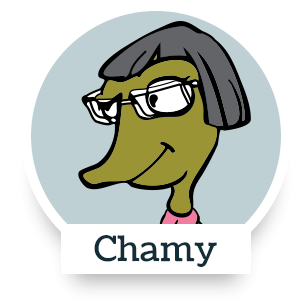 When Chamy ran away, to what part of the museum did she go? Which famous composer’s music does Johnny Anole play? 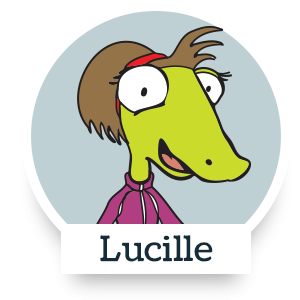 Where does Lucille meet Grandpa Anole? Read the lyrics of the song “Leap of Faith” by Poulsen/Lensink from this episode—they’re included below. Choose at least three things that the song says about God’s grace. Now my friend, I’ll walk beside you, As you seek out what is false and what is true. Just promise me when you see beauty in this place, We’ll stand in awe together and save some room for grace. Take a leap o faith and accept God’s grace. You can’t calculate or replicate, enumerate or duplicate it- no. ‘Cause it’s free today, and it’s free tomorrow, open up the door, love’s sure to follow. Yet there’s Someone full of light who’ll lead you through. He’s hoping you will turn to Him and see Him face to face. And all of us are part of His great plan. ‘Cause all your restless seeking is just a search for Him. And you’re searching for some solace in the stars. That day you’ll look and see the love in His eyes.